It’s always a happy day whenever we have a feature on Style Me Pretty! 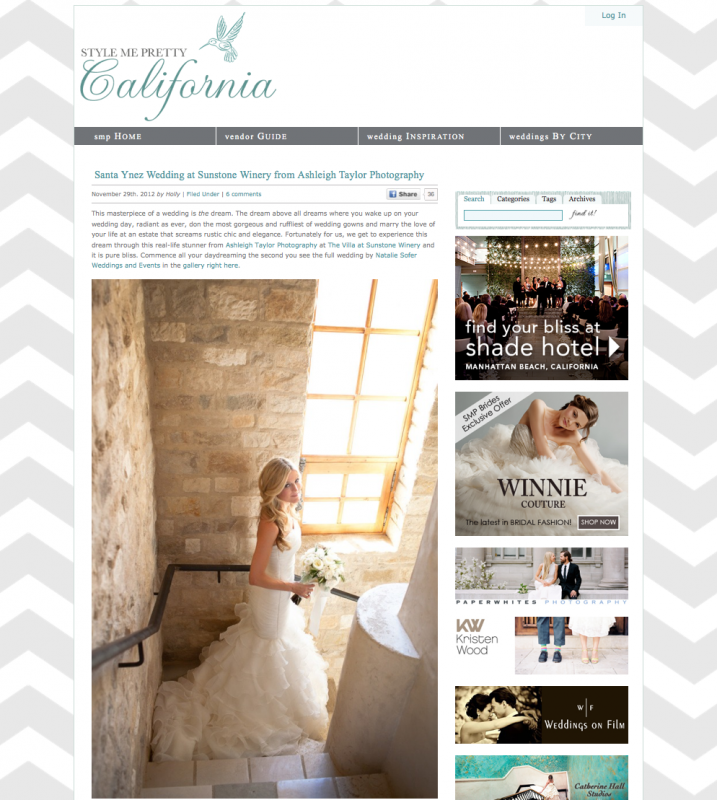 And I couldn’t be more excited that this time it’s Kendra + Kevin‘s Sunstone Winery wedding that is being featured! Woohoo! The day was oh so magical, I knew it had the potential to inspire so many other brides. And even if you are not planning a wedding, it’s just a fun bit of eye candy to drool over! I could not be happier with how the feature turned out!